Everyone recognises the famous physicist with the wild, white hair. But what sort of person was the young Albert Einstein, before he became universally acclaimed as the archetypal genius? And how did his genius unfold? In this compact, brilliant work—originally a Kindle Single—scientist Robyn Arianrhod blends biography with popular science to tell the story of how young Albert developed a theory that—unknown to him at first—contained the seeds of his extraordinary equation E=mc². 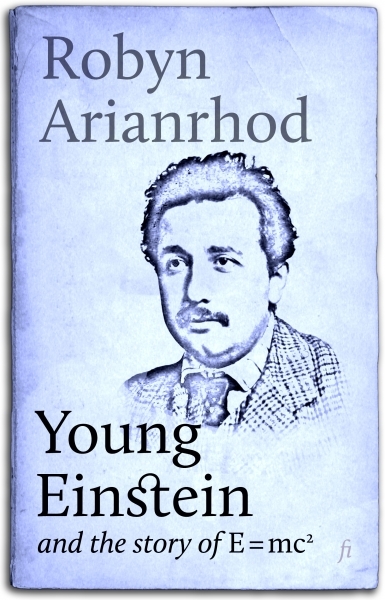 Arianrhod, who wrote her PhD on Einstein’s general theory of relativity, makes the ideas behind the equation accessible to the lay reader and sets young Einstein’s exploration of these ideas against the backdrop of his first loves, his family and marriage and, above all, his childlike wonder at the nature of the universe. She introduces his heroes and scientific inspirations and the friends who believed in him when no one else did. In personalising Einstein she brings to life both the man and his science in a short, easy-to-read narrative. In showing how he discovered his famous equation and what it means, she draws a compelling portrait of this prodigious intellect whose unfathomable grasp of the building blocks of physics would change our world forever.